Enjoy Artificial Grass This Summer! Why Should You Use Artificial Grass? 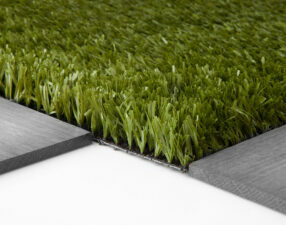 Artificial Grass, sometimes known as fake grass or synthetic lawn has really come into its own in the last few years. Modern synthetic lawns are now increasingly common. With natural looks as good as the ‘real thing’ and strong environmentally friendly benefits, it really is a green alternative. 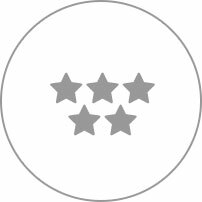 Artificial grass is virtually maintenance free, you can use it all year round without having to maintain it in terms of cutting, trimming or weeding. Our artificial grass is perfect for gardens, patios, balconies, pool sides, play areas, sports fields, putting greens and has a diverse range of uses both residentially and commercially. 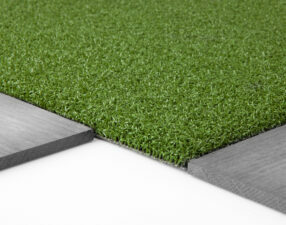 Providing durability, low maintenance and all-weather use, artificial turf is the perfect solution. With our 8 year guarantee, over 15 years experience and truly exceptional installation service, A Bit of Green are the names to trust in the artificial grass sector. 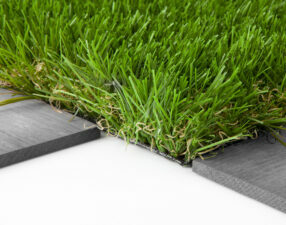 We offer three different types of artificial grass installation. You choose the type of artificial grass and we do all the rest for you! Once you have chosen the right artificial grass for you, you will need to prepare the area for us to then supply and fit! We will supply the artificial grass of your choice to your desired location and leave the fitting to you! We can bring you a pet friendly, easily cleaned and playable surface that encourages outdoor fun for the whole family. Whether you're looking to brighten up an event, provide a safe flooring solution or to provide added excitement to a window display. We professionally install artificial and fake grass - whether a children's play area or a brand new artificial grass lawn. We have many years experience installing artificial grass and will also provide a no obligation quote up front. Having your fake grass lawn installed by us guarantees that it will last you many years, presenting great value and ensuring it looks as stunning as it should. We are an honest, reliable small family business based in Northamptonshire. We started installing professional fake grass solutions in 2006. Within that time, we have learnt along the way to ensure that our product and installations are of the highest possible standards. We only use the best possible products and prepare all groundwork to a standard, which is going to be problem free. 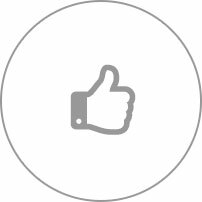 We are centrally located and will consider work anywhere in the UK. However, transportation can add to the overall cost so we focus our attention primarily in the following areas: Northamptonshire covering key towns such as Northampton, Kettering & Corby. We also have a lot of happy customers from Milton Keynes, Peterborough, London, Essex, Leicestershire & Bedfordshire. We are able to supply and install grass to virtually any location in the Midlands, South East, East Anglia and as far north as Derby. We essentially cover the M1 corridor. Feel free to give us a call even if you are located elsewhere. We will always try and accommodate any requirement. A Bit of Green can guarantee a professional, bespoke service and delivery of your project from beginning to end. After 8 years of supplying and installing artificial grass for gardens, lawns, pitches, patios, terraces and rooftops, we now insist on sourcing the very best grass we can find. It is manufactured exclusively to our very own high specification and to European standards in Holland. Not only will your grass installation look great but it will also last. 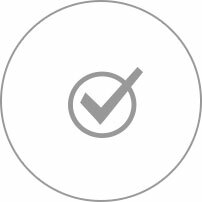 For a fully guaranteed product and service of the highest quality, get in touch. Experience counts! We've been operating for 8 years. We've learnt all there is to know about artificial grass in that time. Our Premium Quality Artificial Grass comes with a full 8 year guarantee but can be expected to last up to 25 years. Only the very best artificial grass adhering to all European standards. Designed to look authentic, impressive and as real as possible.